You will not get another chance to revive the country's national capital, from the kind of mess it is in now due to rampant unauthorized constructions, unless you decide to shift the capital like Muhammad bin Tughlaq, the Supreme Court today told the Centre and other civic authorities in the sealing case slamming it once again for ruining Delhi. 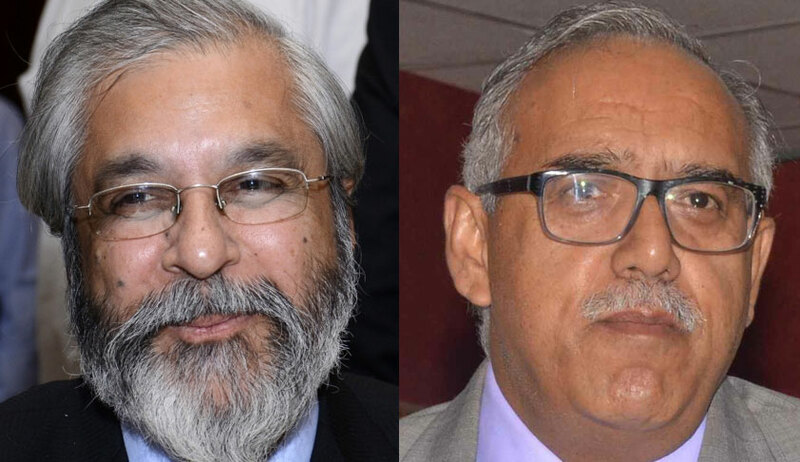 The bench headed by justices Madan B Lokur and Deepak Gupta asked the all authorities to give priority to issues like health of citizens and fire safety before taking any decisions pertaining to changing the master plan to give immunity to violators. Tughlaq, Sultan of Delhi from 1325 to 1351 had passed an order in 1327 to shift the capital from Delhi to Daulatabad in the Deccan region of south India. He had shifted his capital back to Delhi a few years later. It is to be noted that on April 4 too the bench had pulled up the centre and other civic authorities for their failure to prevent unauthorized constructions. “See...people of Delhi are suffering. You say let them suffer. That is your attitude. Children are suffering. Our lungs are already damaged. It is gone. Lungs of our children will also be damaged. Why? Because Union of India, Delhi government, DDA, MCDs say you can do whatever you want but we will not do anything”, the bench had said. The bench on Monday also asked various authorities and political parties not to make the issue of unauthorised constructions and sealing political and directed them to have consider these aspects in a holistic manner. “Look. Health is more important than profit. Life of future generation is very, very important. What we have suffered, we have suffered but that does not give the right to anybody to put the lives of children and future generation in danger, the bench observed. “Make sure that fire and disaster management, especially in schools, are taken into account, it said referring to a recent report that raised the issue of lack of fire safety in schools. The school thing is very frightening. Children will be burnt to death. What happened in Kamala Mills, Uphaar tragedy, we all know, Justice Lokur said adding there was a massive depletion of groundwater also. It is well known that in commercial establishments like hotels and restaurants, usage of water is much higher than residential establishments. Water is going to come from groundwater only. Yamuna is dry. Groundwater concern is very, very high, so far as Delhi is concerned. For the rest of India, it is also a concern”, Justice Lokur said. The bench on the last date of hearing also came down heavily on the Centre saying it was changing the Master Plan of Delhi-2021 at the drop of a hat to protect those who have committed illegalities by making unauthorised constructions. “Unauthorised constructions have a direct correlation with rising pollution. Delhiites suffer from problems such as pollution, parking and lack of green areas due to the issues arising out of unauthorised constructions”, the bench added. “Till the day authorities would realize that the people of Delhi were important, nothing would change. People of Delhi are not cattle ...Everybody has some respect in the society, the bench told Additional Solicitor General (ASG) A N S Nadkarni who appeared for the Centre. When Nadkarni replied that the SC has monitored several issues in the past, the bench shot back, You are doing nothing that is why we have to monitor several things.